Frankly, I hate commercial patterns. They never seem to work out for me. I've read many articles about how to properly read and follow the instructions, but nothing seems to help. Then I thought, perhaps it wasn't the instructions but the pattern itself. You can't expect to pick up a pattern and find your exact size. Everyone is shaped differently, and commercial pattern sizes are crafted for the "ideal shape". That is, the ratio between hip-waist-bust on an average person. If you want to use a commercial pattern, you have to alter it in order to get a garment that actually fits you. Or you could just make your own patterns using your Basic Blocks. You may have heard of sewing Blocks (not to be confused with Slopers). They are the very basic form of a type of garment that is used to create different versions of whatever type it is. 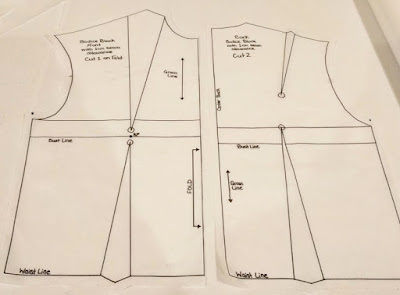 For example, the Basic Bodice Block can be used to make different tops, vests, and jackets. Best of all, you can craft your block to your unique measurements so that anything you create from it will fit you! This is my Basic Bodice Block, front and back. It looks simple enough, but it does take a little math. If you absolutely hate all math and don't want to take the time to make one, there are numerous places online where you can purchase various blocks made to order in your size. If you want to make one yourself, you'll need a large sheet of paper (I like to use this paper), a pencil and eraser, and various rulers (12", yard stick, and curved, if you have it; if not, use a plate). I tried 4 different Bodice Block tutorials before I found one that was easy to follow, complete, and made sense. I'm not going to name any names, but some tutorials were just horrible. These were popular bloggers with lots of followers, but the tutorials were full of mistypes and just bazaar measurements that seemed needlessly complicated. 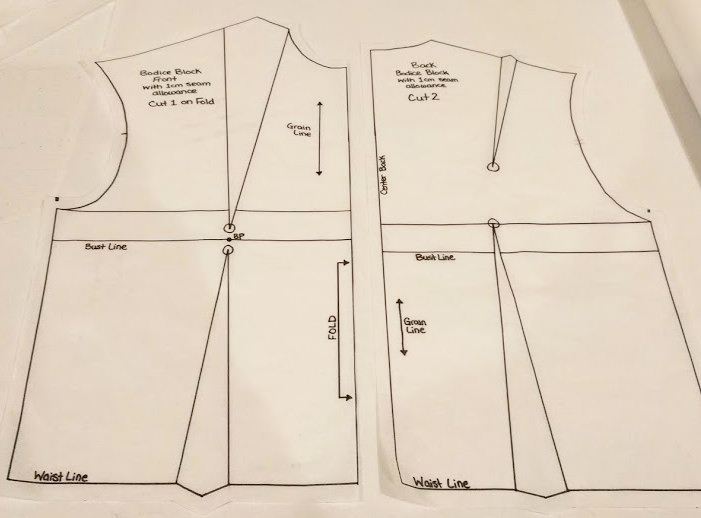 So, I suggest that you use this tutorial by Em Makes Patterns because I think she did a great job explaining all the measurements and the "why" behind each step. There are other useful tutorials on this site, but sadly, she doesn't post on it anymore. How to alter your Basic Bodice Block and projects you can use it for!